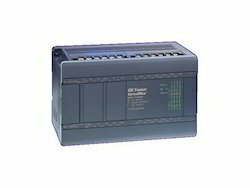 We are the leading service providers of all types of plc . Star Automations is a global repair and services company offering PLC Retrofitment Services, custom design and manufacturing of PLC Controller for electrical, electronic and communication control panels and PLC programming, HMI programming, CADA, DCS programming, servo programming , Automation integration . The versatile knowledge and in-depth expertise of our workers have helped us to esteemed services to our clients in the form of Retrofitment/Modification of panels, which are offered by technically proficient personnel. Our professionals posses in-depth knowledge of the domain and are capable of render these services within committed time frame. We are provide automation machine service. We are doing retrofitting of any logics, panel modification, PLC-DRIVE-HMI Programing modification, Troubleshooting of PLC-HMI-DRIVE based machine panel and solve any types faults. We are provide immediately solution for running plant. We are getting maintainance contract. 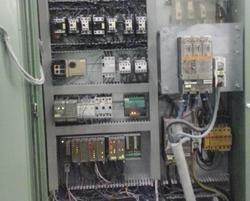 Leveraging on our rich industry expertise, we are offering PLC Retrofitting Service. We have engineers and experts who have in-depth experience in this field to perform such services. Backed ourselves with proficient amenities, we are thoroughly engrossed in delivering PLC Retrofitting Services. Widely treasured for their reliability and exactness, these are widely acknowledged amid our customer for the prices at which these are delivered. Not only have this, our ability to deliver these on time made us a preferred business name. Retrofitting requires specialized monitoring and analysis, which only like us are capable of performing. At Jacob Engineers, we perform a thorough investigation of the structure requiring retrofitting and propose a practical, cost-effective and technically sound solution. STERLING is a global repair and services company offering PLC Retrofitment Services, custom design and manufacturing of PLC Controller for electrical, electronic and communication control panels and PLC programming, HMI programming, CADA, DCS programming, servo programming , Automation integration .